Start Date: Jan. 15, 2019, 6 a.m.
End Date: Jan. 15, 2019, 6:30 a.m. 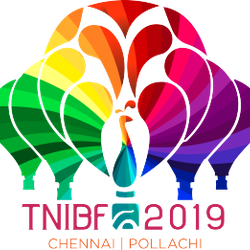 Sponsor Ride Pass is allowed only for one adult or Child with VALID Original ID given during sponsor booking.Allocation of Balloons will be done by organiser on the date of the balloon ride. Sponsor Pass holder need to be at the venue Sakthi Mills Ground, Pollachi by 6 am. For Location info call +91 95000 90850.Verification with your ID proof will be validated before entry to launch field.